In the Caribbean, tubular root vegetables are called ground provisions or viandas. They are so called because the vegetables themselves are encased in the ground during growth and dug up when harvested. These include tubers, roots, and corms (thickened stems that grow below ground). Some are native to the Caribbean while others have made their way to the islands from Africa, Oceana, or Asia. 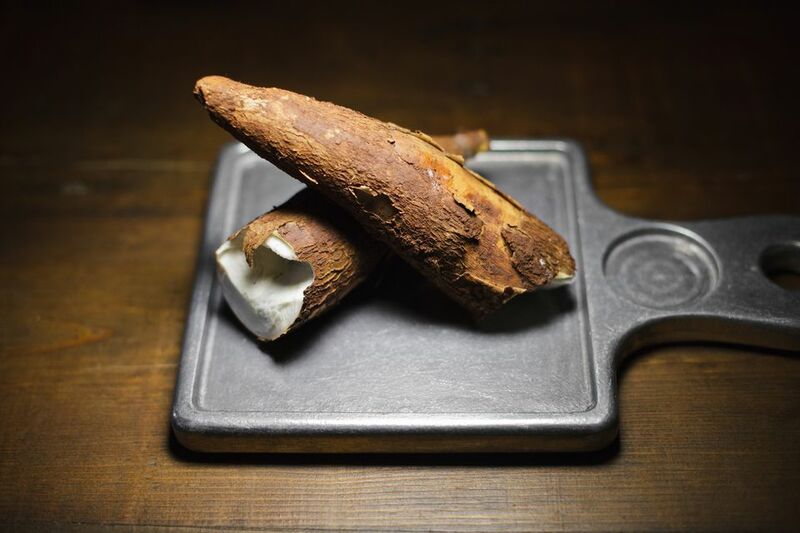 Cassava (yuca or manioc): This is a major staple starch worldwide, coming in third after rice and corn. Dried cassava is what you know as tapioca. Taro (dasheen root): The taro root is one of the earliest cultivated plants, and is common in tropical areas worldwide. Eddoes: These are tropical root vegetables that are closely related to dasheen (taro), but are usually smaller. Malanga (tannia or yautia): This plant is related to the Philodendron and grows in tropical climates. Sweet potatoes (labeled yams in the United States): Sweet potatoes are from the Convolvulaceae (morning glory) family and are only distantly related to the potato. They also are not in the nightshade family, which is a consideration for those avoiding nightshade-related vegetables. Yams: True yams are of the genus Dioscorea and are native to the Americas as well as Africa and Asia. Plantains and breadfruit, although not grown in the ground as also considered to be ground provisions because they are often cooked with tubular root vegetables. Ground provisions are eaten daily in a variety of preparations. Most often, the ground provisions are boiled, sliced and served with roasted or stewed meat, fried fish or fish cooked in a sauce or with sauteed salt fish. When served this way, ground provisions are either served as the main carbohydrate of the meal or as a side dish. Ground provisions have long been associated with the cuisine of the Caribbean, due in part to its African influence. Dishes such as foo-foo (boiled, pounded ground provisions made into balls and eaten with soups and stews), mettagee or oil down (ground provisions cooked in coconut milk), and conkies (steamed pumpkin and sweet potato pudding) are all dishes made in the Caribbean that can trace their origins to Africa. "Boil and fry" is a term used to refer to a popular way of cooking ground provisions, particularly by the Indo-community in the Caribbean. The ground provisions are peeled and boiled in salted water, drained well, cut into large pieces and then sauteed with lots of onions, tomatoes, and fresh herbs. When cooked this way, the ground provisions are served as a meal by itself and can be eaten for breakfast, lunch, or dinner. "Boil and fry" can also be served with roasted meat or sauteed salt fish. Another simple and straightforward way in which ground provisions are cooked in the Caribbean is simply roasted whole, as is, and eaten with butter. Think baked potato. What Exactly Is Latin Caribbean Cuisine? Do You Know About the Chinese Cultural Influences on Caribbean Cuisine?